This performing arts center is a 6-acre cultural campus that includes concert halls, amphitheaters, lounges, indoor and outdoor meeting areas, and is a uniquely designed architectural space. 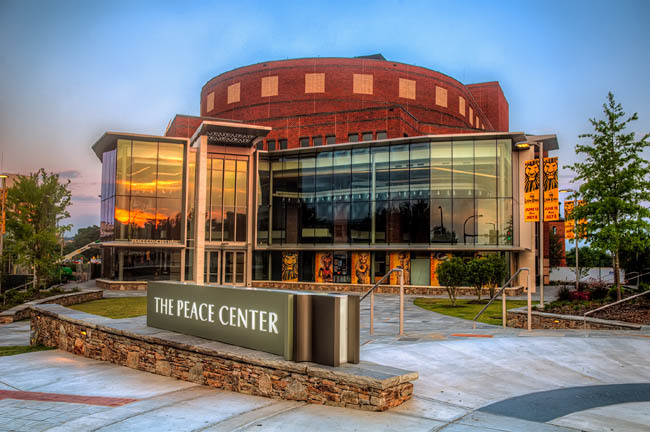 The Peace Center is the focal point of Downtown Greenville’s performing arts district. This performing arts Center offers various venues that showcase multiple forms of creative arts such as Broadway plays, ballet, jazz, classical music, and top comedy acts. If you are into the performing arts genre, this should be on the top of your list. 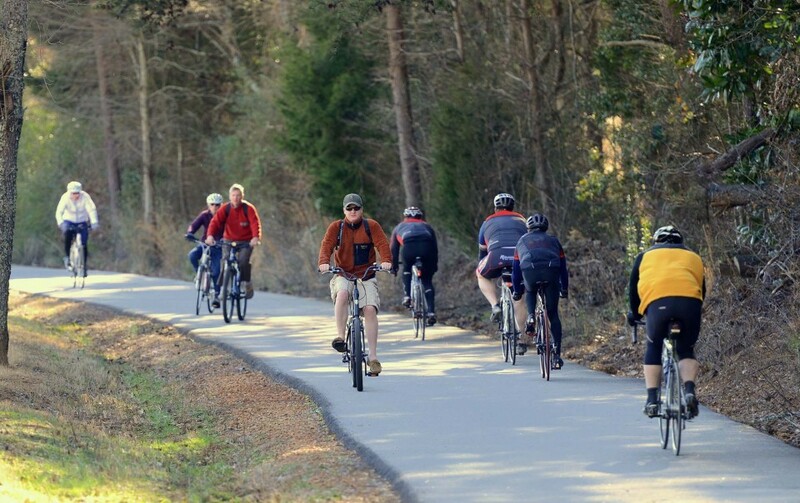 The Greenville Health system’s Swamp Rabbit Trail is a 20.6-mile scenic non-motorized trail that is situated along the beautiful scenic Reedy River on a historic rail bed. This is a great way to take those old rusty bike’s out of the garage and tour the great outdoors of Greenville. There are many points of interest to stop along the way while on the trail. You may want to do a little shopping or stop for a bite to eat in one of the many quaint restaurants along the way. This is a great way to spend the day with the family or have a romantic day with your significant other. 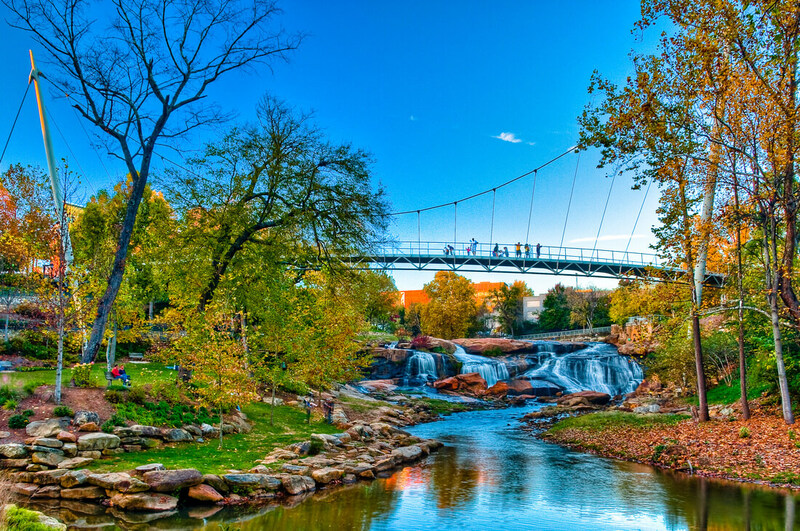 One of Downtown Greenville’s main landmarks, Falls Park at Reedy River features majestic, crystal clear flowing waters, and a one of a kind architectural bridge design. This is one of the most beautiful focal points of downtown Greenville. 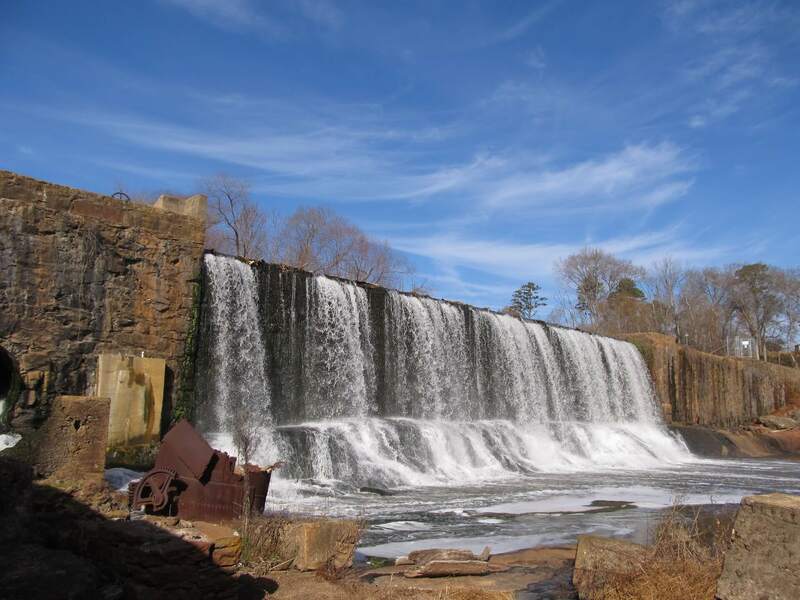 Whether viewing the gorgeous landscape of the Reedy River from above on the Liberty bridge or taking in the breathtaking views from below on the rocks, this is truly a memorable spot. 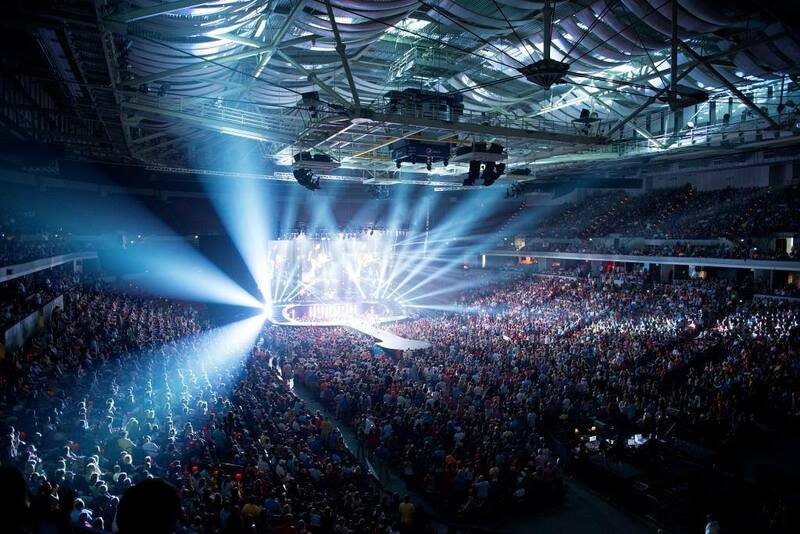 This beautiful concert and sports venue, formerly known as the Bi-Lo center, is a world-renowned music and entertainment venue. The area is home to the Greenville Swamp Rabbits and is in the heart of downtown. This venue has been host to some of the most influential and famous artist of our time. Make sure to check the arena calendar to find an event during your Greenville Visit. The space can occupy up to 15,900 people, with VIP options available. If you get the chance to attend an event at Bon Secours, don’t hesitate to take it. Not sure how to keep the kids entertained during a long summers day or time off during the school year? The Children’s Museum is a great adventure for children and adults. Not only will the kids be in for a fun-filled adventure, but you may learn a fact or two during a visit to the museum of the Upstate. In 2009, the Children’s Museum of the Upstate opened it’s doors to children to explore, be curious, discover, imagine, and have opportunities to make them life-long learner’s. 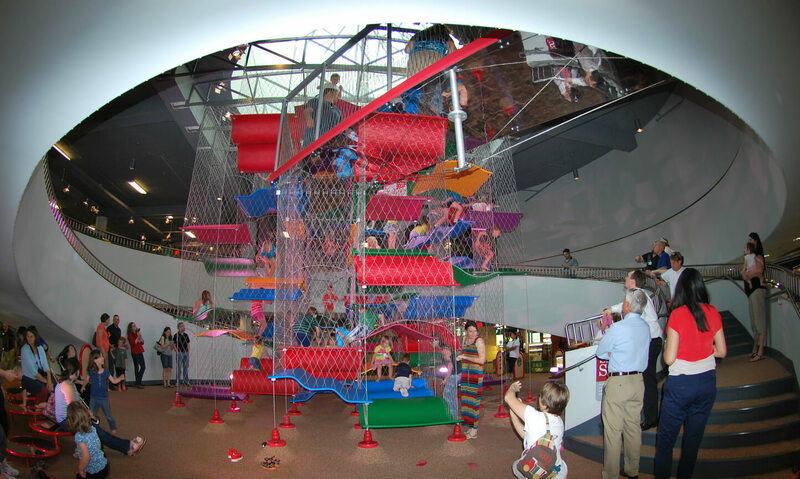 When visiting the Museum, expect to see exhibits such as Big League Fun, Spark lab, Bibs World, Reedy River Bend, 7 News Studio, Start Your Engine’s, Toddler Lily Pond, Off The Wall, Construction Zone and many more! I guarantee after an adventurous day at the Children’s Museum, many naps will be in store! This is why we find the Children’s Museum as one of the top things to do in Greenville, SC. Top things to do in Greenville, SC, is visit the Roper Mountain Science center. Have you wondered what is beyond Earth? At the Roper Mountain Science Center, you will experience whats beyond our Solar System while having access to word class scientific technology. 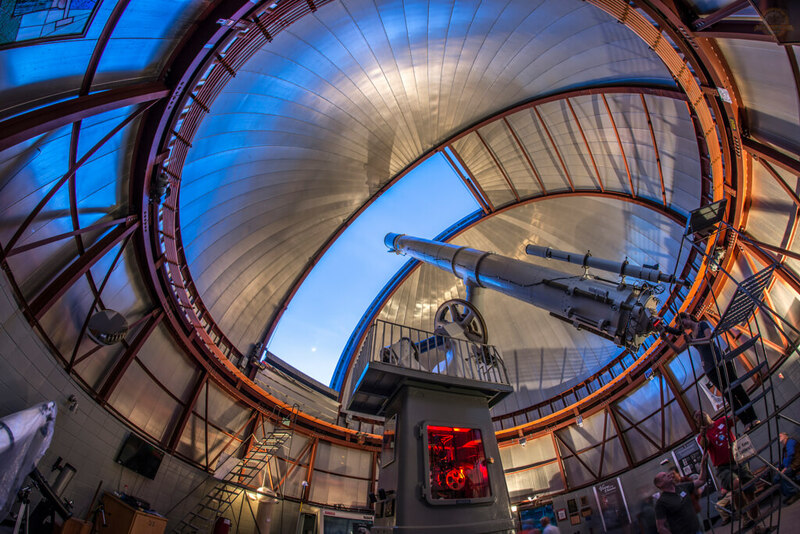 The Roper Mountain Science center boasts the 7th largest telescope in the country along with having a world class amphitheater. A tradition around the upstate is to visit the Roper Mountain Science Center Christmas lights and festival. The center is sure to be a hit year around. Go Wild at the Greenville Zoo. 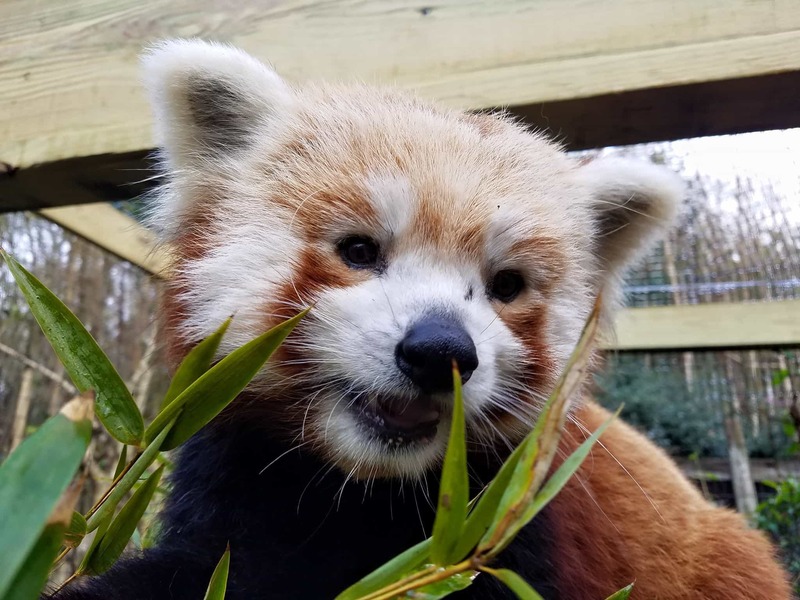 If you are looking for an exotic adventure, without having to book a plane ticket to the Amazon rainforest or the African Sahara, the Greenville zoo may be the attraction for you. The zoo features animals from around the world such as the red panda, the American alligator, anteaters, giraffes, and various primate’s. In addition to the wild animals, you will find many plant species that are native to South Carolina throughout the park. This attraction is sure to entertain both kids and adults. 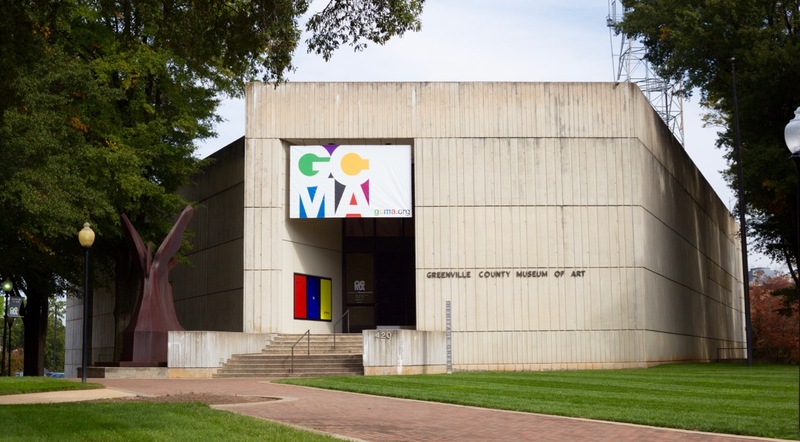 If you are an art Museum enthusiast or just want to enjoy art from timeless eras of our history, the Greenville County Museum has something to offer for everyone. From the legendary Andrew Wyeth of watercolor to the contemporary artist Jasper Jones, you will find a wide variety of artist collections at this museum. Most of the artist in this time period has historical art that intertwines with southern heritage. If you want a glimpse of Southern history in South Carolina, take a look at these artists. 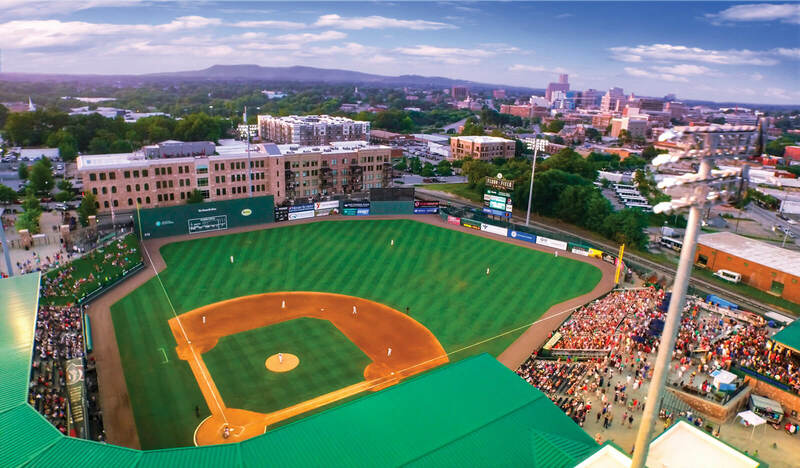 The Flour Field, located in downtown Greenville’s west end district, is modeled after the famous Green Monster of the Cincinnati Reds. Flour Field is considered one of the top minor league baseball stadiums in the country. 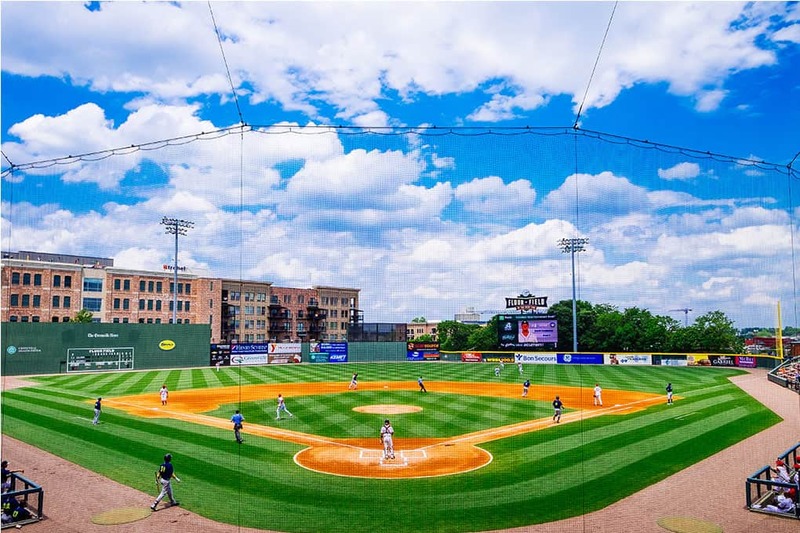 If you are looking for the all American baseball experience, the Greenville Drive stadium is sure to deliver. The park offers various concessions and drink options, as well as amazing local restaurants within walking distance. This is a MUST DO in Greenville. 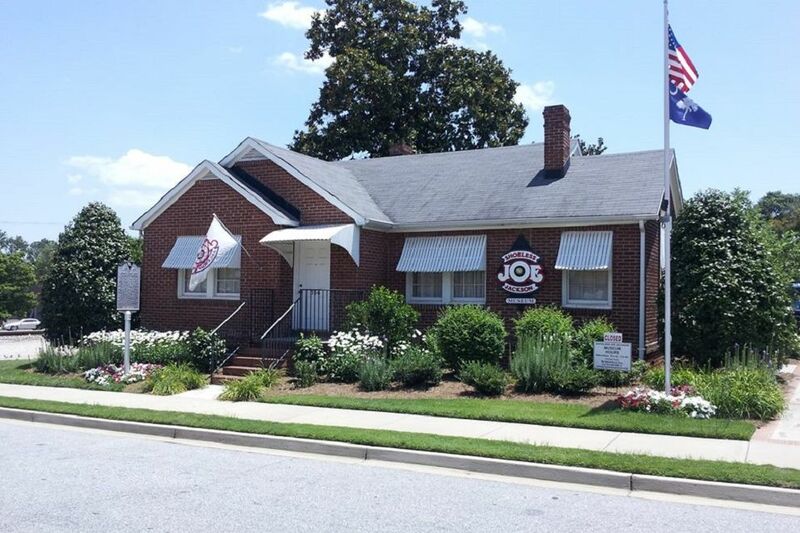 If you are a baseball fan, the Shoeless Joe Jackson Museum may be just the place to make a stop while visiting Greenville. The museum features Joe Jackson’s home where he lived and died. The home was moved and reassembled in the historic district of Greenville in 2006. The home features memorabilia and a baseball library. This is a must-see for any die-hard baseball fan. If you want an adrenaline packed, amazingly beautiful experience, The Gorge Zipline Canopy Tour may be just the ticket. Although not in South Carolina, this attraction is 40 minutes north of Greenville and is well worth the visit. 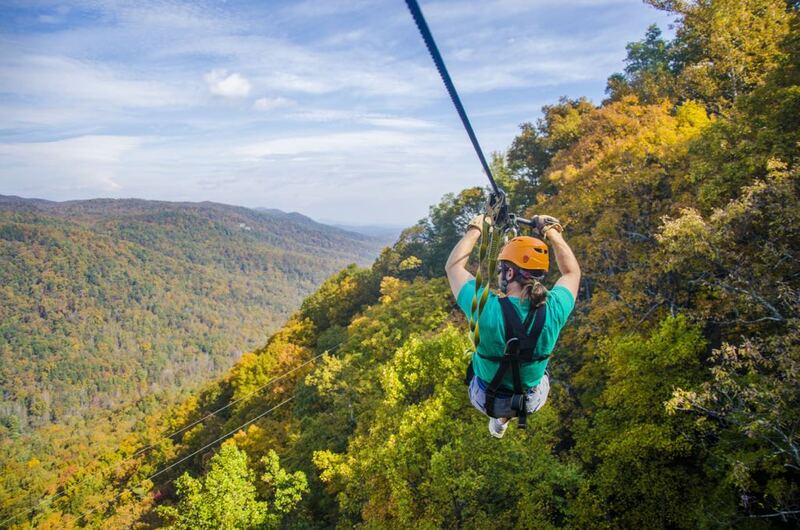 This is considered America’s steepest and fastest zip line canopy tour. With over 1.25 miles of zipline where you descend 1100 vertical feet, this is sure to get your heart beating. 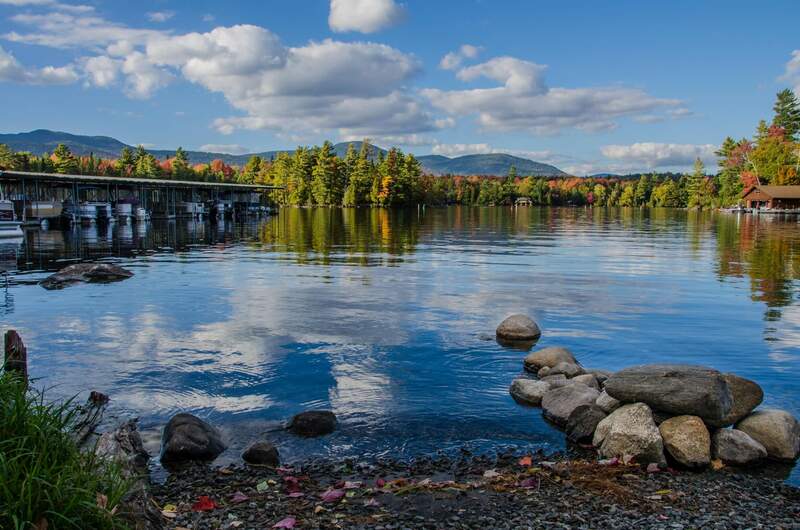 The Lake Conestee Nature Park is truly a unique experience, where wildlife, nature, and the city meet. The park is just 6 miles south of downtown Greenville and features beautiful evergreen forest, over 3 miles of the Reedy River, and encompasses more than 400 acres of natural habitat for various wildlife. If birding is something of interest, the Greenville Bird club has spotted over 200 bird species within the park. This is truly a unique experience in Greenville, SC. 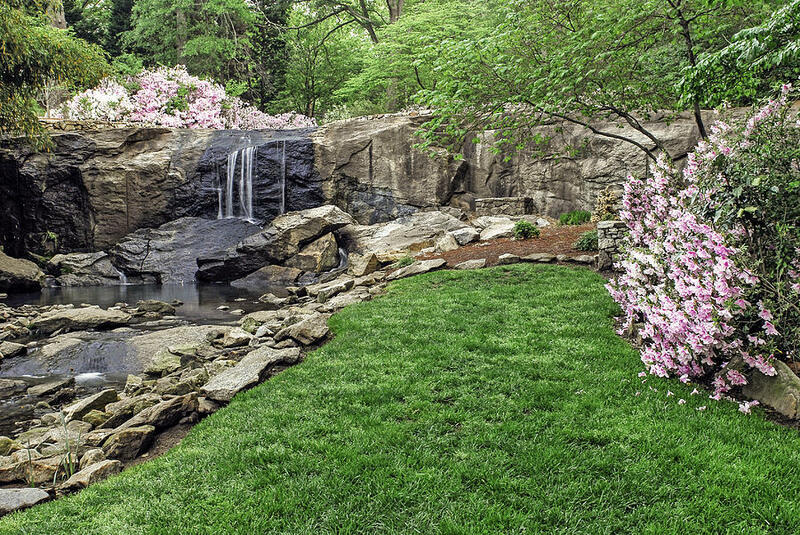 Cleveland Park is located near downtown Greenville and features over 120 acres of beautiful parkland. The Park features tennis and volleyball courts, picnic shelters, playground, the rock quarry garden, Fernwood nature trail, and is the home of the Grenville Zoo. This is the perfect place for you and the kids to spend a relaxing afternoon. If you are into art, the Bob Jones University Museum is a must visit during your time in Greenville. 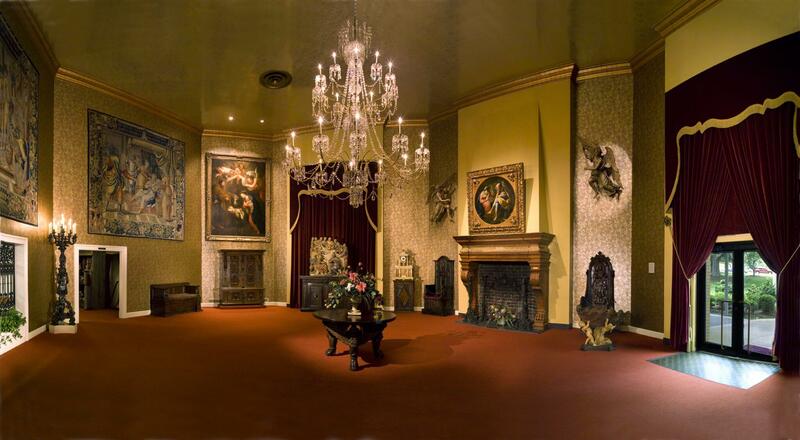 The museum features fine art from the European Old Master Collection. The university has been showcasing such art for over 65 years to guest and art admirers around the world. This is truly a one of a kind attraction in the upstate of South Carolina.